Proswimwear.co.uk is the largest competitive swimwear store in Europe. The company offers a wide range of FINA approved racing suits, swimwear, accessories and training equipment. pages into clear Russian for a new audience. In 2017 the company Proswimwear started expanding their business and entered Western European, Brazilian, Turkish, East Asian, and Russian markets. For each new country targeted, they created new domains. 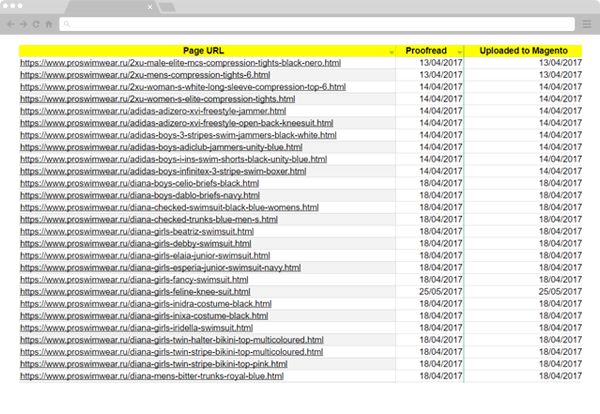 All content was completely duplicated from the Proswimwear.co.uk. Magento store, and in some cases translated into national languages automatically using integrated tools. 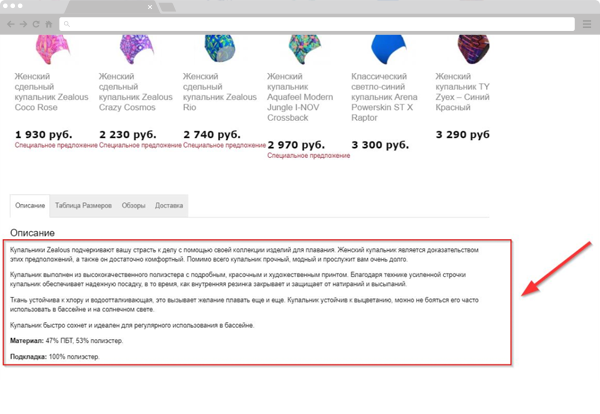 As a consequence, product names and descriptions, as well as text content in other sections, were displayed incorrectly in majority of cases but in particular for Russian. 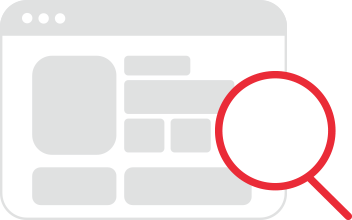 We divided all text content into groups by their types and translated at least 200 product pages per month. Step 1 Firstly, we translated menu and product pages with names and description of each item. 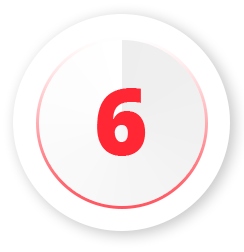 Before any translated content was uploaded, this was checked a second time by the proofread team and once ready this content was uploaded manually through Magento. Step 2 We translated all information pages, which were very important to the client. And uploaded these manually. Step 3 Except for the text sections, we also translated meta titles on all category pages. We did not optimize titles for SEO through keyword research but made sure these were all intelligible for users. The website was constantly growing. 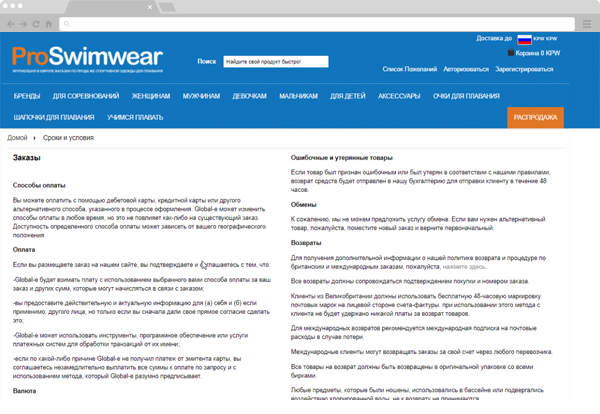 While the team had been working on the project, new product pages were being included, and old pages in cases that had been already translated were removed from time to time. At the start of our work, the website included 4.5K product pages. But when we finished this had grown to 9K. After the pages had been translated, we could see increasing volumes of organic traffic. In January, compared with the United Kingdom domain, sessions from Proswimwear.ru have increased by 283%, transactions – by 79%. was by 132% higher than on the British website. 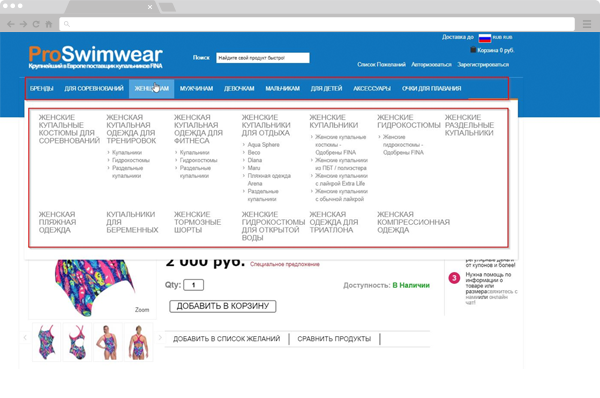 Translation of the Proswimwear.ru into intelligible Russian showed good results in boosting the website visibility in search results for both Yandex and Google while engaging new customers. We regret to say that more than half of the website pages are translated automatically today which in turn prevents us to achieve the best possible results and can lead to a poor user experience. Translate every text into grammatical Russian. parameters to avoid duplicates, which negatively affect the organic rankings. to gain even more traffic. in the natural ranking in Russia. the ranking and conversion rate. Make all banners and pop-ups in quality Russian grammar.